Singapore. 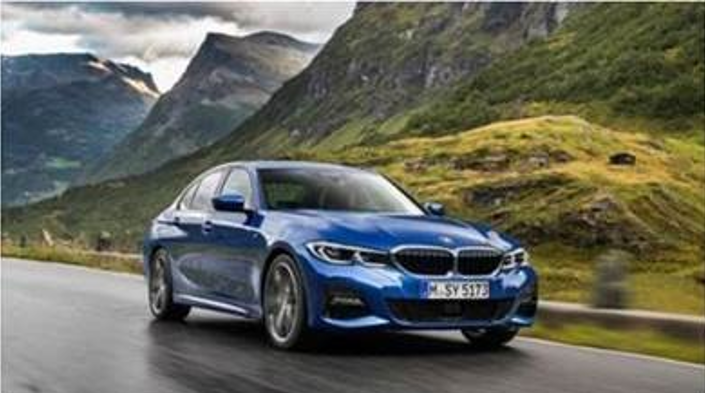 BMW Asia and Performance Motors today announced the availability of the all-new BMW 3 Series, a car that has epitomised the concept of sporty driving pleasure in the global premium midsize class for more than 40 years. Exuding dynamic design, agile handling, exceptional efficiency and innovative equipment features, it takes the signature characteristics of a BMW and turns the volume up several notches. The sedan represents not only the core of the BMW 3 Series range (of which over 15 million units have now been sold worldwide) but also the heartbeat of the BMW brand. This latest edition of the car sees BMW building in particular on the sporting tradition of the 3 Series, whose exploits in race competition have earned it so much extra dynamic credibility. The seventh generation of the sports sedan moves the game on once again in its segment in terms of driving dynamics, premium quality and innovation. The new model started production at BMW’s “home” plant in Munich. BMW’s new design language showcases the modern and dynamic character of the all-new BMW 3 Series with precisely drawn lines and strikingly contoured surfaces. It is 76 millimetres longer than its predecessor (at 4,709 mm), 16 millimetres wider (1,827 mm) and just 1 mm taller (1,442 millimetres). The car’s 41-millimetre longer wheelbase (2,851 mm) and increased track widths (front: + 43 mm, rear: 21 mm), meanwhile, have a direct and positive influence on its poise and agility. The large BMW kidney grille and the headlights leading off it are dominant themes of the front end of the car. Their familiar two-way split is emphasised by an eye-catching notch in the front apron that rises up into the headlight contour. Full-LED headlights with extended contents come as standard, while the Adaptive LED headlights with BMW Laserlight for non-dazzling high beam (with a range of around 530 metres) are available as an option. Both the LED front fog lights and the Air Curtains are integrated into the outer air intakes, which take the form of a horizontal T shape on the Luxury Line variant. The dynamic side view is shaped by a pair of character lines and a dynamic side skirt contour. The trailing edge of the side window graphic with its Hofmeister kink design cue is now integrated into the C-pillar. Horizontal lines and slim, stylishly darkened LED lights give the rear a wide and muscular stance. The brand’s new design language also brings a clear arrangement of surfaces to the interior of the all-new BMW 3 Series. This accentuates the spaciousness of the cabin and, together with the cockpit’s focus on the driver, enhances their concentration on the road. The new screen grouping of Control Display and instrument cluster, the tall centre console and the coordinated design of the light, modern instrument panel and door panel trim create an all-round feeing of space and a sporting aura. The engine in the all-new BMW 330i generates more spirited performance than ever. Boasting numerous detail upgrades, this two-litre, four-cylinder unit delivers a maximum output of 258 hp between 5,000 and 6,500 rpm, while peak torque of 400 Nm is available from 1,550 to 4,400 rpm. The 6 hp increase in output and the extra 50 Nm of torque compared with the predecessor engine are the result of the focused optimisation of the BMW TwinPower Turbo system – which comprises of twin-scroll turbochargers, High Precision Injection direct petrol injection, VALVETRONIC fully variable valve timing and Double-VANOS variable camshaft timing. The High Precision Injection system ensures precise fuel metering and particularly clean combustion, its new fuel pump generating maximum pressure of 350 bar compared with the 200 bar of the previous version. The further developed direct injection system enables optimal fuel flow through the combustion chambers with atomised fuel delivered by multi-hole injectors. Other characteristics of this engine include a lighter crankshaft, reduced internal friction, optimised heat management and a new digital engine management system. When developing the body structure and chassis technology of the all-new BMW 3 Series, a number of clear priorities were set: enhanced driving dynamics, agile handling characteristics, high-precision steering and superior braking performance. Overall, the all-new BMW 3 Series weighs up to 55 kilograms less than the corresponding predecessor model, depending on the model variant and equipment fitted. The all-new BMW 3 Series also has a low centre of gravity and 50 : 50 weight distribution, while the stiffness of the body structure and suspension mountings have been significantly increased. The standard-fitted suspension and M Sport suspension (standard on the M Sport variant) both include lift-related dampers, which are making their debut in a BMW model. They make a major contribution to the balance between sportiness and comfort – unmatched by any rival – which defines the character of the all-new BMW 3 Series. Continuously variable control allows them to adjust the damper firmness progressively according to changing spring travel, which reduces body movement perceptibly when evening out vibrations caused by bumpy road surfaces and dynamic cornering. M Sport suspension (with a 10-millimetre reduction in ride height) is joined by the optional Adaptive M suspension with electronically controlled dampers. The two suspension variants also bring customers the benefits of variable sport steering, the latest version of which has even more direct and precise feel. M Sport brakes with four-piston fixed callipers at the front come as standard on the M Sport variant. The blue-painted callipers display the M logo. An M Sport differential is optionally available for the all-new BMW 330i M Sport variant in conjunction with the M Sport suspension or optional Adaptive M suspension. Here, the electronically controlled, full-variable locking function in the rear differential significantly enhances traction, agility, stability and cornering dynamics. The premium characteristics of the all-new BMW 3 Series can be further enhanced with an array of high-quality and innovative options. The Luxury Line and M Sport package help to provide targeted individualisation. Added to which, newly designed steering wheels and interior trim elements, Vernasca leather trim, an instrument panel in Sensatec, plus three-zone automatic climate control and the standard telephony with wireless charging, offer scope for increased comfort and exclusive style. The windscreen and side door windows can be fitted with acoustic glass (optional). The optional glass roof has a 100-millimetre longer transparent surface. And the standard ambient lighting results in atmospherically rich illumination, while the Harman Kardon (standard on the M Sport variant) surround sound system delivers exceptional listening pleasure. Extended shoulder and elbow room in the front seats and additional legroom, seat comfort and ease of entry and exit all contribute to the generous feeling of space in the interior. Plus, the all-new BMW 3 Series’ 480-litre boot offers improved loading comfort. A 40 : 20 : 40 split-folding rear backrest and automatic boot lid operation are part of the standard specification. The standard Comfort Access, which now has a new sensor system, allows the car to be locked and unlocked automatically and also includes hands-free opening of the boot lid. The all-new BMW 3 Series uses a significantly expanded selection of innovative assistance systems to likewise take a leading role on the road to automated driving. Standard equipment includes Lane Departure Warning, plus Collision and Pedestrian Warning with City Braking function, the latest version of which also alerts the driver when a cyclist is detected, and Driving Assistant with Lane Change Warning, Rear Collision Prevention and Cross-Traffic Alert. Active Cruise Control with Stop & Go function is optional. Also offered is the optional Driving Assistant Professional, a complete comfort and safety-enhancing package. One of the features of the Driving Assistant Professional is the Steering and lane control assistant, which works together with the driver to help keep the vehicle in the detected lane through narrow channels and also includes the Lane Keeping Assistant with active side collision protection and the evasion aid. The new-generation BMW Head-Up Display (standard on the M Sport variant) offers a larger projection surface, new graphics and additional display content. The standard Park Distance Control and the rear view camera assist the driver with manoeuvring and entering/exiting parking spaces. Also available as standard is the Parking Assistant, which takes over steering, acceleration, braking and gear changes with the Steptronic transmission when driving into and out of a space. Its range of functions also includes the Reversing Assistant, which can reverse the vehicle for distances of up to 50 metres by steering it along exactly the same line it has just taken when moving forward. The new BMW Operating System 7.0 plays a leading role in optimising the control and display system with modern, digital functions geared precisely to the needs of the driver. The standard BMW Live Cockpit Professional comprises of consistently designed, situation-linked and customisable displays on the fully-digital 12.3-inch instrument cluster and 10.25-inch Control Display. For intuitive operation, the driver can choose from the Control Display’s touch control, the iDrive Controller, the steering wheel buttons, gesture control (optional) and voice control. Making its debut in the all-new BMW 3 Series is the BMW Intelligent Personal Assistant, an intelligent, digital character that responds to the prompt “Hey BMW”. One unique feature over other digital assistants is that drivers can give him a name. The arrival of the BMW Intelligent Personal Assistant ensures there is always a genuine BMW professional on board. He is able to explain all sorts of different functions (“How does the High Beam Assistant work?”), provide current status information (“Is the oil level okay?”) and help answer questions (“What warning messages do I have?”). The Intelligent Personal Assistant is, in short, the ideal co-driver and comes in particularly useful during everyday driving by responding to natural voice commands to help the driver with numerous tasks, such as enhancing productivity and on-board entertainment. The range of functions and skills available will be constantly expanded as part of regular updates, which can be carried out seamlessly on a smartphone and in-car by Remote Software Upgrade. The BMW Digital Key employs Near Field Communication (NFC) technology to allow the all-new BMW 3 Series to be locked and unlocked from a smartphone, removing the need for a conventional car key. Holding the smartphone up to the door handle opens the car. Once inside, the engine can be started as soon as the phone has been placed in the wireless charging or smartphone tray. Accessible via BMW Connected, the Digital Key offers unrivalled flexibility, as the driver can share it with up to five other people. The BMW Digital Key is available for all NFC-capable Samsung Galaxy smartphones running Android 8.0 and above. Alternatively, customers can use the BMW Key Card. This sophisticated option also features NFC technology and so offers the same functionality as a suitable equipped smartphone. The all-new BMW 3 Series is now available for viewing at the Performance Motors showroom. 1. The all-new BMW 3 Series prices. 2. The all-new BMW 3 Series specifications. Output: 258 hp at 5,000 – 6,500 rpm. Torque: 400 Nm at 1,550 – 4,400 rpm. Acceleration (0 – 100 km/h): 5.8 seconds.